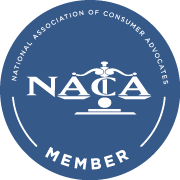 We represent consumers who have been harassed or mistreated by debt collectors, lenders, auto dealerships, and credit reporting agencies. Every person needs a lawyer in their corner. From county court collection actions to class actions, Vedra Law LLC is dedicated to protecting individuals and businesses whose rights have been violated. the types of cases we handle.